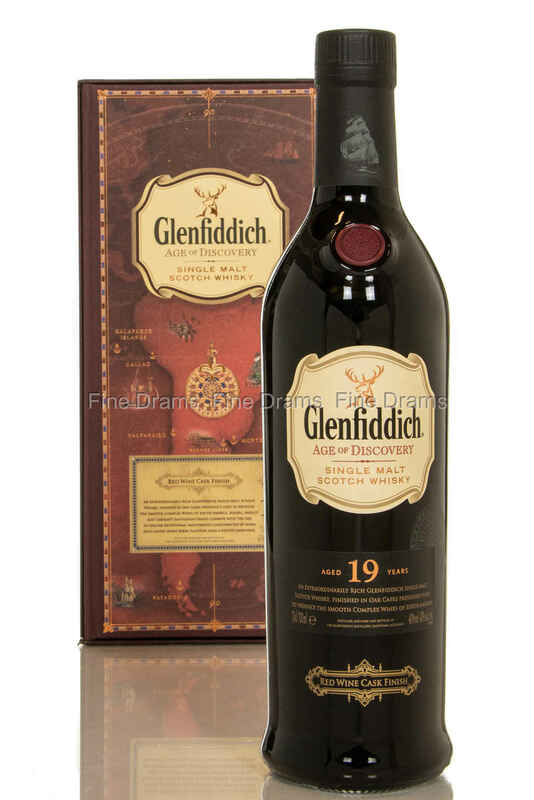 As one of three in the limited Age of Discovery range, this 19 year old single malt whisky has been finished in oak casks which previously held South American red wines. The types of wine which the casks previously held are Malbec, Merlot and Cabernet Sauvignon, all of which impart their own unique set of flavour into the whisky. The end result is rich, spicy and complex, with lots of notes of red berries.